Does Baking Soda Kill Roaches? Yes, baking soda kills cockroaches. In the document Homemade Cleaner, published by Michigan State University Extension Home Maintenance and Repair, they mentioned that Baking Soda can be used as a cockroach killer. Another similar study published by Susan Jones at Penn State: A Publish Research University mentioned that baking soda is said to be equally lethal to roaches just like borax. But, in the Cockroach Control Manual published by the University of Nebraska, they clearly stated that bran, baking soda, and baking powder will not cause roaches to die. But, it should also be noted that after doing a lot of experiments by homeowners, it is found that baking soda really kills roaches, but it’s not a strong pest killer. Can Baking Soda Eliminate Roach Infestation? If you’re facing only a few roaches, then you can eliminate them by using home remedies whether it is baking soda or any other. But, if the infestation is severe, then baking soda will not be very helpful. In that case, you have to take help of roach killers and maybe cockroach exterminators. The roaches will not eat baking soda themselves. You need to make baits to attract them. The ABC Radio Brisbane shared this recipe of making cockroach baits that seems quite good to attract these pests. For that, you need five things. Put all these ingredients into a bowl and stir the mixture continuously. Now, the clumps will form, and these are your cockroach baits. Put these clumps at the roach-infested areas or other places roaches hide. Roaches will attract them, and they’ll eat. There is a high acid content in their stomachs, so the combination of baking soda and their stomach acid will release gas. As roaches can’t burp, so they’ll explode and die. You can also just add baking soda with sugar or honey. The sweet ingredients do not play any role in the killing process. It is only added to attract roaches to the bait. Is Baking Soda Safe to Use? The Georgia Department of Public Health calls the mixture of baking soda and powdered sugar as the safe alternative of roach killers. But, still, if you’re concerned about your pets, then keep them away from these baking soda cockroach baits. Does Baking Soda is a Pet Safe Roach killer? Excess of everything is bad. Similarly putting this as a statement, it can be said that too much of baking soda is strictly not recommended in a high quantity. To be safe, keep your pets away from the areas where you have sprinkled baking soda. Some precautions that you need to follow while handling it for killing cockroaches. Wash your eyes with plenty of water if it’s getting irritated. If it’s not helping, a person should seek medical help. If the soda is by chance touched by hand, wash skin with plenty of water and soap. In the case, the irritation continues, seek help from the professionals. Take proper care that it’s far from the reach of the children and pet present at home. If it’s inhaled by mistake, the person should be removed from the open area. If there’s a difficulty in breathing, a person should be taken for proper medical help. If it is ingested, drink plenty of water, if the discomfort continues, seek medical attention. It should be stored in proper lids in order to avoid direct contact. These precautions should be followed while using the soda at your home. Now, we know that baking soda is a mild roach killer. So, if you are dealing with a lot of cockroaches in your home, then only using baking soda is not going to help you. However, the result varies from person to person. 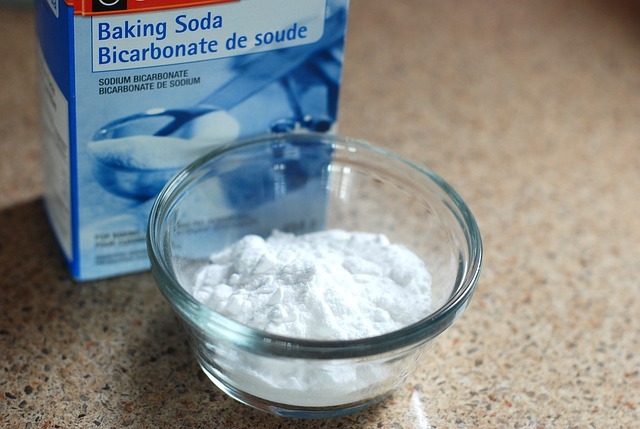 But, if you have baking soda at your home, then you should try it at least once, because if it works for you, then it’s way better than using chemical & toxic roach killers. If you have questions, then write down in the comments section. I’ll answer them asap.